Who or whom? What or which? Each interrogative pronoun serves a purpose. 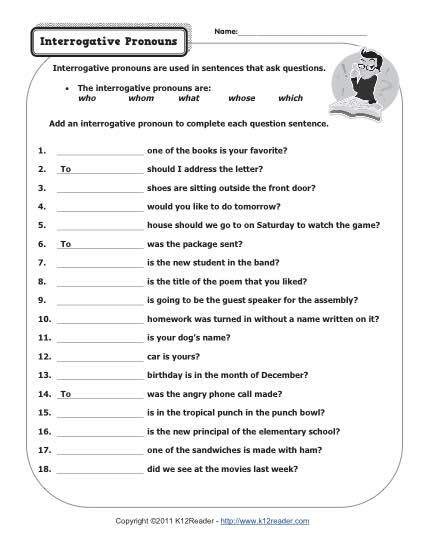 Your student will practice using these important words in this worksheet. It’s a great way to practice Language Standards for Common Core Standards for 1st grade. Other grades may also find it useful.